We supply spare parts for Caterpillar 3406 marine and industrial engines. All parts available in stock are used / unused and reconditioned major spare parts sourced from ship recycling yards. Tested by professional skilled engineers, all parts supplied by us are guaranteed and can be directly installed to the engine. And other major reusable parts. We maintain regular supply for the same. Contact us with complete details of your requirement. The offered part is a OEM part and exact match for all CAT 3406 starte. Ships from and sold by Worldwide Power Products. Generator End is rated for 1200KW but the Generator Set Package is only rated for 1015KW w/Radiator. Galvanized Remote Radiators for Offshore Rigs included. 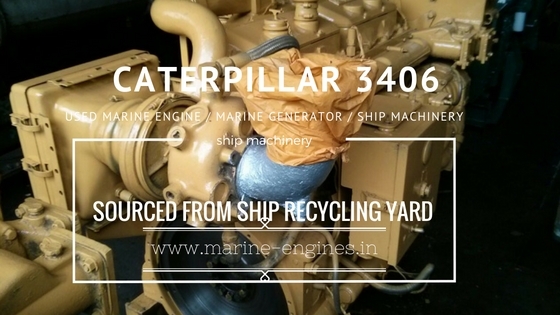 We supply used CAT 3406 marine diesel engine and generator which are removed from ship at shipyard and ship breaking yards. These CAT 3406 marine diesel engines are tested by professional team of engineers before dispatching to client. Caterpillar Marine Diesel Generator in stock and is available for sale. The generator is complete and in running condition. It was removed from ship and fully reconditioned. Presently 2 Units are in stock and available prior to sale. Interested clients do contact us for more details. 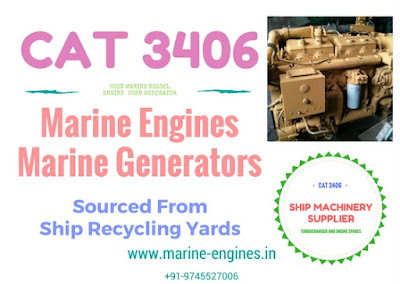 We also supply CAT 3408 marine diesel engine used parts, which are reconditioned and are reusable. 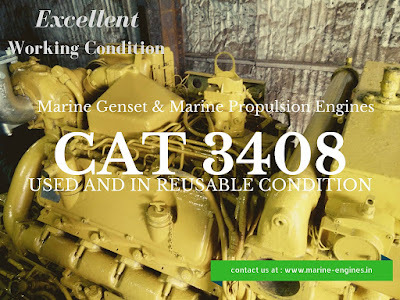 We supply all parts for CAT 3408 marine diesel engine as well as generator. To match the exact part, clients need to send the part number and engine details. We delivery ex works, CAT used marine diesel engines, generators and used engine parts and also the delivery is possible up to client's neared port. 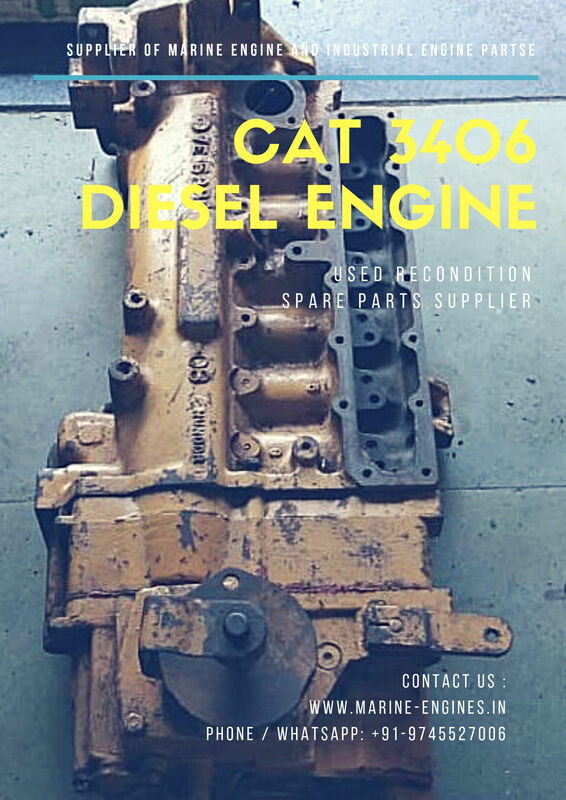 We supply used / recondition spare parts for Caterpillar 3406 engines. Exact match for all makes of CAT 3406 marine engine. Genuine and OEM parts sourced from ship recycling yard. Interested buyer do contact us for price and availability. Unused Ship Machinery sourced from ship recycling yards. Available in stock unused / reconditioned spare parts for CAT 3508 Engine. We provide complete overhauling spare parts for caterpillar 3508 engine / AE / main engine and generator. Parts are OEM parts and exact match to marine and industrial engine. These parts are sourced from the stock rooms of ships which are dismantled as well as some parts are sourced from surplus stock auction. Interested buyers do contact us with list and part number along with engine details. Also available complete used marine and industrial CAT 3508 engine and complete diesel generators also. 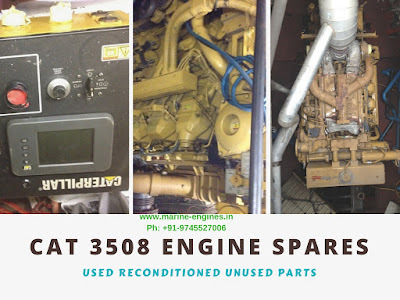 The available CAT 3406 is marine auxiliary complete engine and in excellent running condition, can be directly installed after minor cleaning and servicing. For more details on price and availability, kindly do contact us. We source and supply used caterpillar marine engines and generators along with used reconditioned spare parts for caterpillar engines. 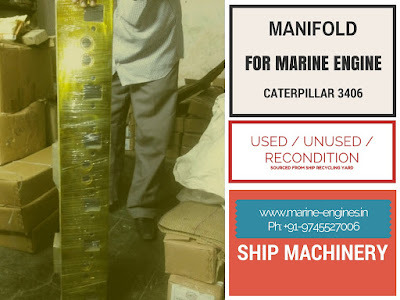 All used caterpillar machinery are sourced from ship recycling yards, tested by marine engineers and required servicing is done before supplying to customers. 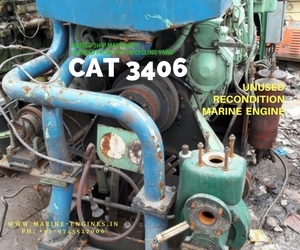 For all your required of CAT 3406 marine ship machinery, do contact us. The marine engine and marine generators were removed from ship at ship breaking yards in India. The generator is in excellent working condition. Marine Diesel Engine can be used as marine propulsion engine.The Marine Generator is complete with alternator and accessories. Interested clients do contact us for more details. The offer is subject prior to sale. We regular deal in sourcing and supplying used marine diesel generators and marine diesel engines along with engine parts, prime new and used reconditioned. For any requirement, do contact us.